Norman Solomon has an article titled Jeffrey Sterling vs. the CIA: An Untold Story of Race and Retribution over at ExposeFacts. Sterling is the former CIA officer and whistleblower who was convicted of leaking classified information to New York Times reporter James Risen about “Operation Merlin”–a failed U.S. effort to undermine Iran’s nuclear program.” Earlier this month, Sterling was sentenced to serve 42 months in prison. NOTE: Solomon is the individual who produced the documentary “The Invisible Man: NSA Whistleblower Jeffrey Sterling” for ExposeFacts. Risen is the investigative journalist who exposed how “Operation Merlin” could have actually aided the Iranian nuclear program. The US government claimed that Sterling had violated the Espionage Act by revealing details about that covert operation during the Clinton Administration, which “was to provide Iran with flawed designs for nuclear weapons components, ostensibly to delay the alleged Iranian nuclear weapons program, or frame Iran. In his article at ExposeFacts, Solomon tells about how Jeffrey Sterling “was in the midst of a protracted and fruitless effort to find someone in Congress willing to look into his accusations about racial discrimination at the agency” a dozen years prior to his recent sentencing. Solomon said that Sterling had begun “reaching out toward Capitol Hill about his concerns” as early as 2000. According to Solomon, Sterling said that he had “received a positive response from House member Julian Dixon (D-Calif.), a former chair of the Congressional Black Caucus, who expressed interest in pursuing the matter of racial discrimination at the CIA and contacted the agency about his case.” Unfortunately, Dixon died from a heart attack on Dec. 8, 2000. Sterling reportedly received “no support from civil rights organizations.” The CIA fired him in January 2002 “after many months of administrative limbo.” Solomon said that Sterling’s “letters the following year reflected escalating disappointment and anger at an absence of interest from members of Congress as well as from civil rights organizations including the Rainbow Push Coalition and the NAACP.” According to Solomon, Sterlings’ letters went unanswered. 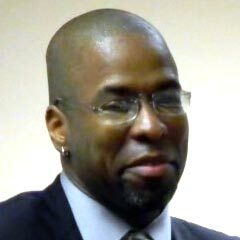 I think there has been a true miscarriage of justice in the case of Jeffrey Sterling. It hasn’t gotten a lot of coverage in the mainstream media. That’s why I have written about it on more than one occasion. 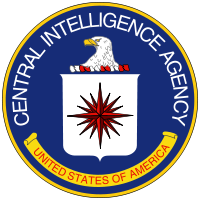 Click on the link to read the full text of Norman Solomon’s article Jeffrey Sterling vs. the CIA: An Untold Story of Race and Retribution. This entry was posted in Barack Obama, CIA, Courts, DOJ, Equal Rights, Government, Government Propaganda, Iran, Justice, Propaganda, Racism, United States, War on "Terror" and tagged Congress, Espionage Act, Government Whistleblowers, Jeffrey Sterling. Bookmark the permalink.